How long does it take to write a novel – a big writer’s question, right? How long should you leave between each manuscript draft? Another big writer’s question. Might as well ask how long a piece of string is? 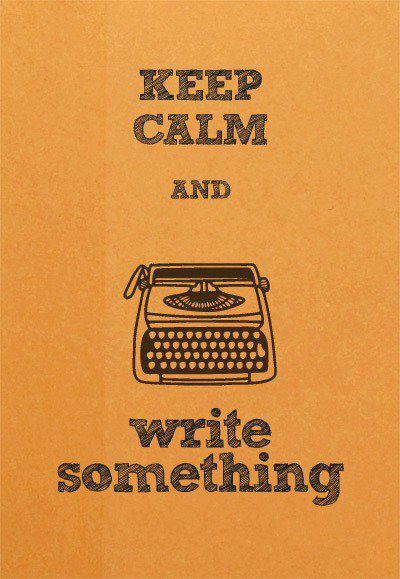 And what if I am rushing the process and not allowing the all-important breathing room between drafts? How do I know if I am on-schedule or actually faffing about when there is no concrete benchmark to compare my writing schedule to? I have been writing to the beat my own writing drum for over 15 months, with only my instincts to guide me. Over this time, I have allowed my writing to control me or forced myself to control my writing. But how does my process compare to other first-time writers out there? The below was my process, how does it compare to yours? How Long Does it Take to Write a Novel – My story so far! I always wrote, but this time it was different. This was the starting phase of my beginnings of trying to write a novel. I didn’t have a story all mapped out and I didn’t know what I was actually writing about – all I knew was that I had to get the stuff in my head out onto paper. I remember seeing a quote by James Baker Hall that read ‘Writing is no answer, but when you feel deeply there is little else to do.’ So I wrote day and night. About all the things that happened to me and how I processed them in my head. I wrote constantly for 4 months. When I stopped, I was exhausted and I couldn’t read any of what I had written, so I closed the file and stepped away. Over the course of the summer, I dipped in and out of what I wrote and struggled enormously with what it all meant. Was there a novel in the 100k words I had poured out or was it just a cathartic experience that I had to go through. I read ‘Story’ by Robert McKee in July and it helped me to figure out what I was writing about and how I could go about morphing my rambling 100k words into something of substance. At times, I read extracts of what I wrote and thought, ‘God, did I actually write that?’ It moved me, even though it was about me. It was then I decided I needed a professional to read what I wrote and give me a proper diagnosis of my writing. I prepared my work for a novel critiquer by way of low-level rewriting and proof-reading. I wanted the critiquer to see my work in its amateur, raw state and tell me if it had any potential. I went through phases of hating my writing, condemning it to the deleted files of my laptop, to days where I thought I might actually be on to something if I worked really, really hard. I had written from the heart mostly, so my writing was very emotional and psychological, but was it any good? I needed a glass of wine when the email from my critiquer appeared in my email inbox on the first day of December 2012. I had prepared myself for a slating – to be told that what I wrote was a rambling mess and worst of all, that my aspirations as a novelist were lofty. In contrast, I remember seeing the words ‘you can write’ within the critique on the first read, and that was the best inspiration I could have asked for. The critique was filled with practical steps of how to move my 100k ramble into a coherent story that readers would like to read. I breathed a sigh of relief and realised I had the motivation and commitment for the next phase thanks to the encouraging, honest feedback from my critiquer. It took me a full week of 14-hour days to map out my new fiction story. I went through 3 packs of Post-it notes. By the end of January, I had a complete new story structure for a novel, based on the 100k ramble I first wrote. My plan was to use the best elements of what I originally wrote and morph them into a new fiction story that readers would enjoy reading. I ended up with 44 scenes that I hoped would drive the story along, be compelling to the reader and most of all, tell the story I wanted to tell. I was now working with a complete fictional story but I was using the emotions of my own experiences to tell the story. This is where I went into recluse mode again – writing in solitude for 3 months. I had about 50k I could use from my original draft, so I needed another 50K of new material. I used my new story outline as a guide, but by scene 10 my story took a completely different direction from the random introduction of a new character. This new character turned out to be pivotal to the story and she changed the entire substance of the novel. This scared me at first but I am glad I allowed myself the creative freedom to follow my instincts as I am much more excited about my story with this new character in it. She was what was missing and I happened upon her by complete accident. I finished up with 96K words, with the ratio of new:old material at about 60:40. I send the manuscript off to my critiquer and awaited the second review. I was less prepared for the views in the second critique. Although I knew I had no masterpiece on my hands, in my view it was actually a novel – with a coherent beginning, middle and end. It was a comprehensive story I thought, even if it did need lots of polishing, but the sheer elation of finishing the second draft was short lived. It’s hard to describe the writing cocoon to somebody who doesn’t write. You immerse yourself in knowing where & what every character moves & thinks in the 100k words you have written and you hold vast amounts of information in your short term memory. It’s exhausting and you have little time to think of anything else. To consider that you have to do it all over again can be over-whelming, especially when you are so close to it, it is hard to read your writing objectively. So I am in the breathing stage again – mulling over the professional opinion of my critiquer, having people read my work and give honest feedback, all the while reading books about writing and the art of dramatics. The list of books I use can be found here. It was here I got to believing that my time away from my manuscript is just as important as my time in my manuscript. I have to stop myself from feeling guilty that I am not writing 10 hours a day and to consider the benefits of getting some distance and allowing the dust to settle. In this phase, I believe objectivity of my writing is what matters. I worry that I don’t have the stamina to go through another 3 months of solitary writing to pull my manuscript through to the next level. I know the amount of work the manuscript needs and I know the level of commitment and energy I need to have to get it to where I want it to be. Plus, in any writers terms I am still in the development stage and no-where near close-out stage of a final proof-read. So I am right in giving myself time to think or do I need to dive right in grab the book by the pages? Have I taken too long or have I rushed things? My intuition tells me I am on track and that this is how long it is taking me to write a novel. An interesting take on the creative process. I prefer to edit my work as I write, so at the start of writing I read the last two or three chapters or so, then write something new. That way I will have proof read everything two or three times before I’ve even finished the book. I have the occasional glance back through the whole book and that helps me write a cohesive work. Interested in books? Why not check out my blog: http://citywallsbooks.wordpress.com. I think you’re doing just fine. As I tell my son, someone who gives up will never achieve their goals. And from what I can read here, I think you’ve got determination locked down.